Recently Yanesen area is getting popular for its atmosphere of recalling Japanese good old days. 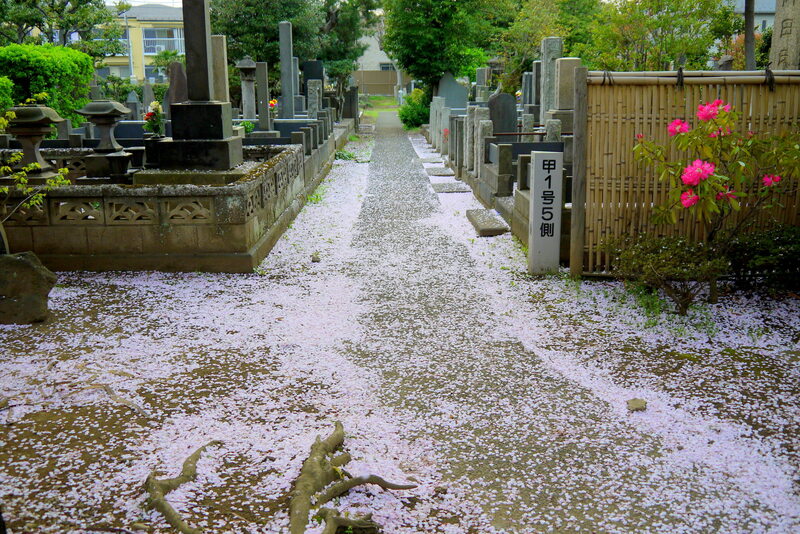 Although there are many spots famous for cherry blossoms there, “Yanaka Cemetery” is one of most recommended spots. The beautiful tunnel-like cherry blossom trees in the cemetery would attract tourist who have not seen cherry blossoms in Japan yet. This article will introduce you to some recommended places in Yanaka cemetery and the best season to visit. Yanaka Cemetery is located in Yanesen. It is a municipally‐owned cemetery that has huge land as broad as 100,000 square kilometers with about 7000 graves. There sleep many historically important and influential figures like famous politicians, painters, actors and even Shogun. You can also see places where valuable cultural properties used to be, because this Yanaka Cemetery used to be a part of a temple. Also this cemetery is noted for its beautiful cherry blossoms. And so many tourists come visit here to see beautiful cherry blossom trees planted along street passing through the center of the cemetery. Try OAHANAMI, Cherry Blossom Viewing to Experience Japanese Way to Enjoy Spring! When it comes to talking about cherry blossom viewing at Yanesen area, most recommended spot is Ynaka Cemetery. Many cherry blossom trees planted here and there will give you great visual impressions. Fortunately this cemetery is not so crowded for this fabulous scenery. In addition, viewing them at night is also very nice. Why don’t you try Japanese spring traditional event, OHANAMI (cherry Blossom Viewing) at Yanaka Cemetery? If you feel like tying OHANAMI, especially recommended spot is “Sakura Dori”, which is a central street on the premises passing from Tennouji Bochi. There are so many cherry blossom trees planted along the street. 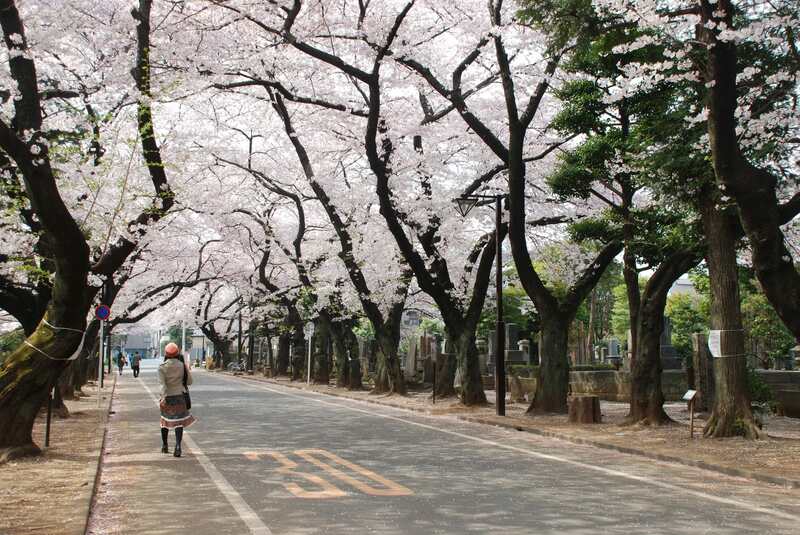 And during the best season in spring, cherry blossom trees bloom at the same time covering the street with pink flowers making the street look like a tunnel. 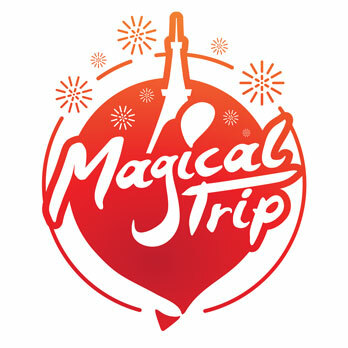 The scenery is so breathtaking that not only local people but also many tourists come to see. On top of that, big cherry blossom trees scattered around and another 100 meters street with cherry blossoms inside premises from Kanei Bochi are also beautiful and worth visiting. When you try OHANAMI at Yanaka Cemetery, don’t forget to check them out too. Usually Japanese people enjoy eating and drinking while seeing cherry blossoms with friends or family. They prepare “Bento”, which is a single-portion take-out or home-packed meal, and enjoy HANAMI in this picnic-style. But, keep in mind that the season is crucially important to try HANAMI. Cherry blossom usually blooms only for a week or so from late March to early April. If you miss the period, you can’t enjoy beautiful cherry blossoms. Please make sure that you are coming in the right season to appreciate cherry blossoms. 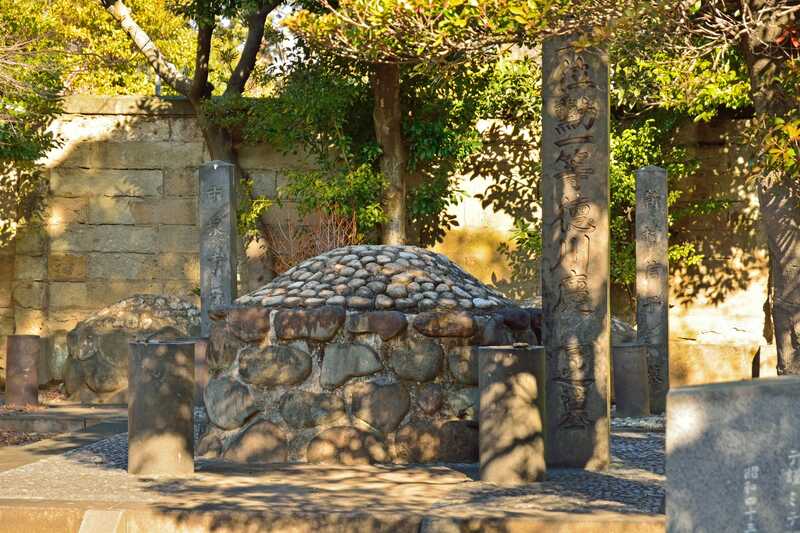 Walking in Yanesen: Japanese historical celebrities lay to rest in Yanaka cemetery.